Do you remember hearing “you are what you eat” from Mom? In reality; you are what your digestive tract can breakdown and absorb. Any idea what happens to food that you cannot breakdown and assimilate? Ewww! It’s not pretty. So, consider eating the best that nature offers, will you please? It’s always best to work with nature. While our regenerative nutrition regime is designed to take advantage of the best of nature, it still makes good sense to back it up with these readily available “superfoods”. The list can be greatly expanded but this is a good start. 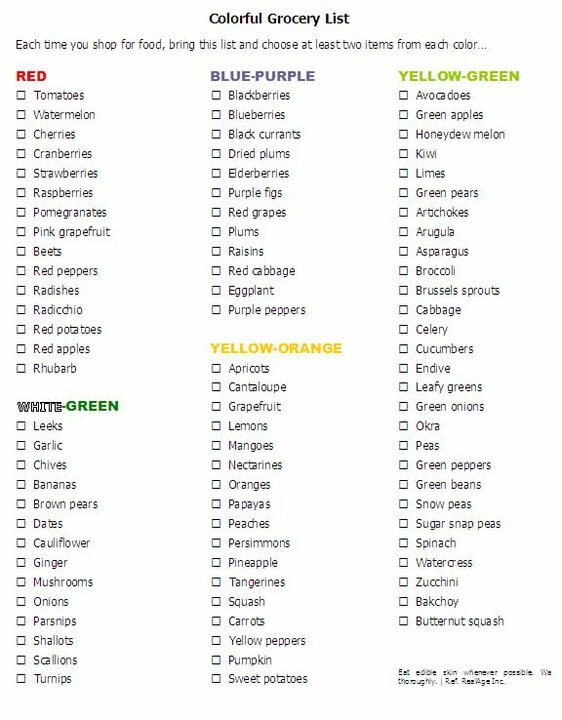 Make it a goal to add a minimum of three items off the recommended list to your daily food program. Avocados: Avocados provide nearly 20 essential nutrients, including fiber, potassium, Vitamin E, B vitamins and folic acid. They also act as a “nutrient booster” by enabling the body to absorb more fat-soluble nutrients, such as alpha and beta-carotene and lutein, in foods that are eaten with this fruit (similarly to the benefits from olive oil–healthy monounsaturated fatty acids). These are “good fats” and appear to lower LDL (bad) cholesterol levels, and raise HDL (good) levels. Beans: They haven’t gotten the same media buzz as blueberries but some beans have more health-promoting antioxidants. They also have as much cholesterol-lowering fiber as oats and high in lean protein with is beneficial to heart health. They are also rich is B vitamins and potassium which includes both dried and green beans. Blueberries: Fresh or packaged, frozen berries are sold throughout the year. Each tiny fruit deliver a highly concentrated amount of antioxidants including anthocyanins and other polyphenols, and carotenoids. They also contain fiber, folic acid and vitamins C and E, and full of flavor with few calories. Dark chocolate: A great source of guilt-free flavonoids, 83% or more cacao solids bars offer the same kinds of antioxidants in herbal tea. Research shows that flavonoids play a role in helping to lower blood pressure and in keep arteries from clogging which is good news for your heart. Milk and white chocolate do not offer the same benefits. Kiwi fruit: Loaded with Vitamin C similar as the antioxidants in oranges. Kiwis contain about as much potassium as bananas, and rich in Vitamins A and E.
Flavonoid antioxidants can be found in the skin which is edible after removal of the hair-like peel. When crushed, the black seeds produce kiwi fruit oil which is very rich in Alfa-Linoleic Acid (an important Omega-3 essential fatty acid). Oats: Known for high fiber content, oats also deliver protein, potassium, magnesium and other minerals, and phytonutrients including antioxidants. Their cholesterol-lowering characteristics are well-known, and the fiber helps to stabilize blood sugar. The combination of nutrients appears to work synergistically for more healthy effects than when consumed separately. Similarly true of all whole grains, oats are relatively inexpensive. Spinach: A well documented and popular fact is that these dark greens are loaded with lutein (great for eyes), many other carotenoids (antioxidants) and extremely high coenzyme Q content, several B vitamins, Vitamins C and E, iron and other minerals, and betaine (a vitamin-like nutrient beneficial to heart health). Low in calories, spinach can be consumed is mass similarly to kale, chard and other dark leafy greens. Yogurt: Live cultures, also called probiotics or beneficial bacteria, are yogurt’s claim to fame. Read labels carefully and be aware of some manufacturing processes that may kill the cultures and processed sugar content in flavored varieties. Inside your digestive system, they fight bad bacteria, aid in digestion, help metabolize food and generally balance your flora and fauna. Yogurt is a good source of calcium and protein. Antioxidants: An umbrella name for many substances that retard the body’s normal process of oxidation, meaning a reaction to oxygen that releases “free radicals” that damage cells and break the body down. Digestion releases free radicals from food. Antioxidants help prevent this and also are thought to destroy free radicals and slow oxidation, reducing allergies, heart disease and cancer and the effects of aging. Dozens of antioxidant nutrients have been identified so far and are likely many more. Many vitamins have antioxidant effects, including Vitamin A (carotene), C and E.
Flavonoids: These are the best-known antioxidants (like tea and dark chocolate), among a groups called polyphenols. You also see the word flavonol, which is a subgroup. Relatives are anthocyanins which give blueberries their fame. Carotenoids: These are the pigments that protect dark green, yellow, orange and red fruits and vegetables from sun damage, and they work as antioxidants in humans, too. Beta-carotene is the best known and also called Vitamin A. Although there are dozens, common carotenoids are lycopene and lutein. 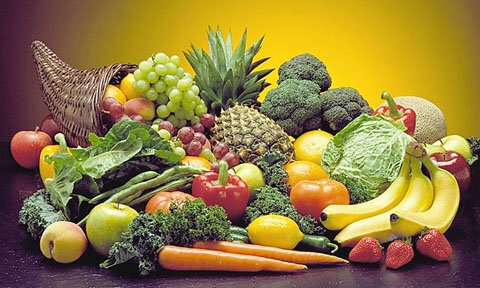 Vitamins: Nutrients considered essential to health; a shortage of vitamins can create health problems. Phytonutrients: Plant-derived compounds that are believed to improve your health but aren’t essential to your health. This includes antioxidants.